Most of you reading this would have no trouble in crafting a resume and bringing it along to interviews. But do you know… interviewers these days request for your cover letter too! The purpose of a cover letter is to describe how your skills and qualifications can relate to the position you applied for. In other words, it provides you a platform to really “sell” yourself. If you are seeking for a monochrome cover letter, you’re at the right place! 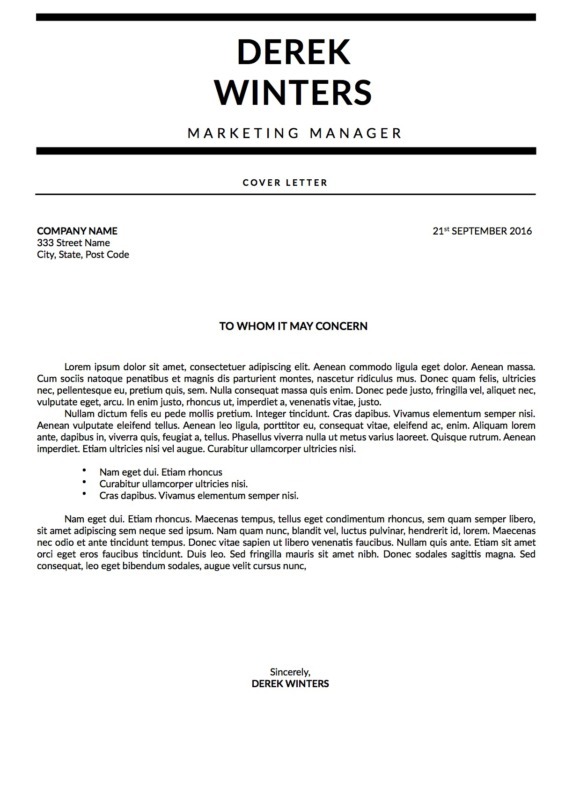 The Derek Winters cover letter is designed in black and white, making it one of our most minimal cover letter template. For your ease of use, it is created for A4 and US Letter sizes, available in both Microsoft Word and Apple Pages. Save the template as .docx too so you can edit it in the future! Do not forget to bring your Cover Letter along for the interview! 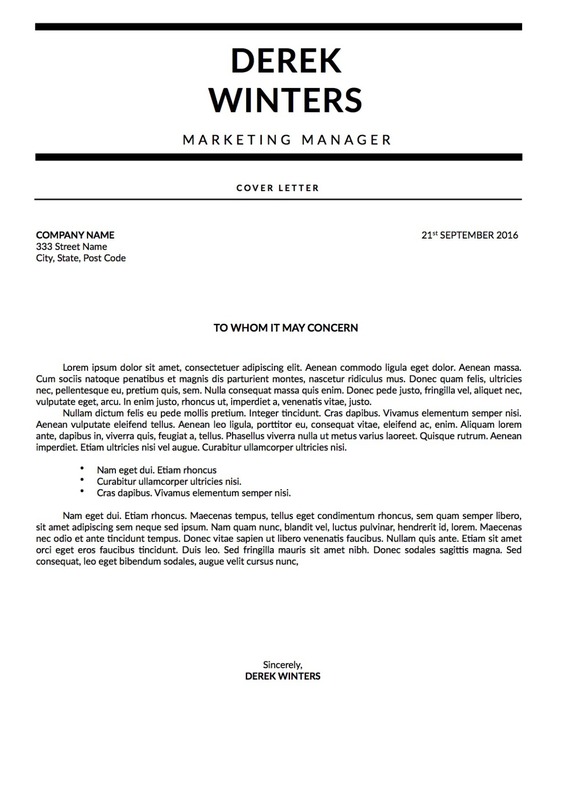 Complement your cover letter with the Derek Winters Resume Template!